A luxuriously large lift cab took me to the fifth level of Block Eighty Eight building and into an exclusive foyer. Warm woods, cool stone, modern glass, steel and excellent lighting design combine for a classy look and feel. Oakridge Business Park unveiled its second event venue to a select handful. Oakridge Horizons is an impressive, pillar-less hall bordered with floor-to-ceiling glass windows that open into an alfresco deck extending the view across the city. 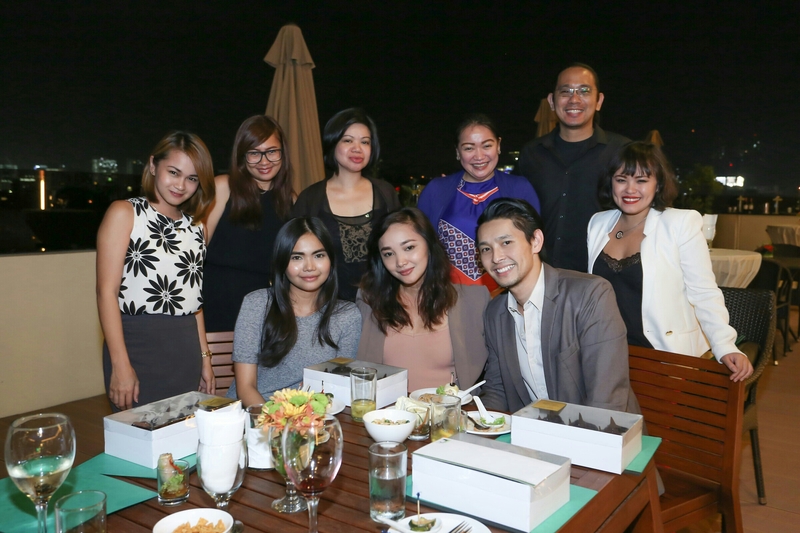 Marketing maven Lara Agua ushered us out on deck to the soft serenade of an acoustic band. The unexpectedly serene Mandaue City nightscape twinkled softly and glowed bluish under the moon. Guests were treated to cocktails by Canvas Bistro and what is now Oakridge-owned, 10 Dove Street. I instinctively reached for what looked spiked to find it was a virgin Dalandan Mojito. The tang of the citrus and the cool zest from the mint was enough to wash away that traffic that held the guests coming from across the city for the 6PM event. The bar on one end of the corner was not a permanent, open-to-public setup but gives the Horizon’s clients the opportunity to customize bar services on top of the freedom to bring in catering and other service providers of the client’s liking. Chunky pork sausage filled the core of crusty pastry in the Aussie Sausage Rolls. This one is a leap and a bound from your neighborhood bakery hotdog bread with real meat sausage filling and its layered shell. Creamy Mushroom and Herb Bruschettas were quite filling for non-meat bites. Sliced Champignons took on a meaty texture of a Stroganov dish with the cream– the savory flavors melding well with the profusion of herbs. Crepe-thin scrambled eggs were rolled with pink salmon and herbed cream cheese into little protein-packed Maki’s in the Omelette Rolls. These were my favorites in the set until I had the Vietnamese Rice Paper Rolls with BBQ Chicken and Vermicelli, conveniently served solo in shooters with a soy vinaigrette. The rolls were deceptively light in form, bite and flavor, until I had three too many. 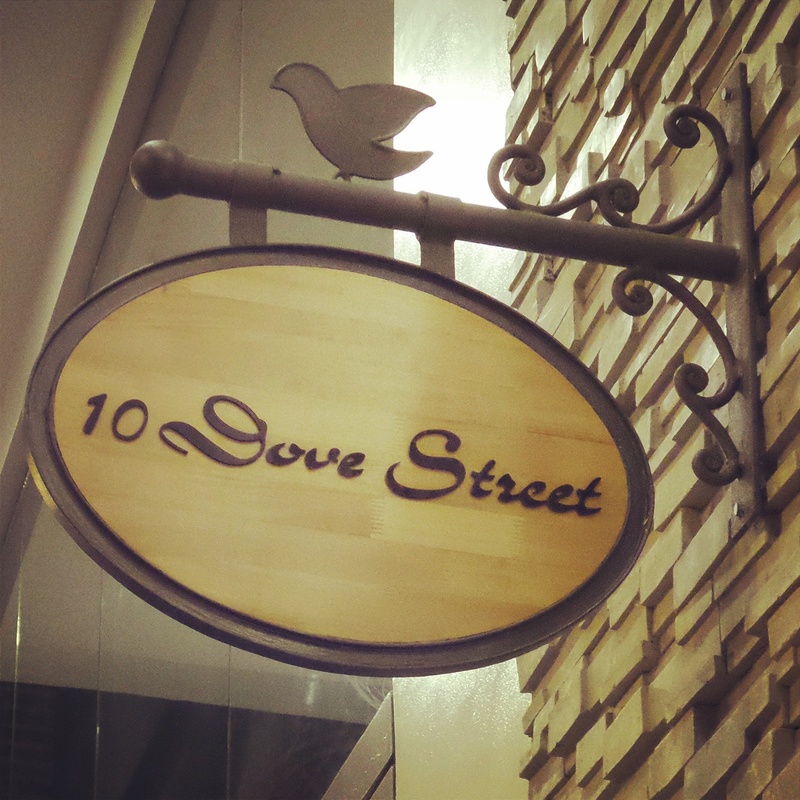 Old Cebuano secret, 10 Dove Street, moved out of its former enclave and into a two-level commercial operation. For the launch they served Salmon in Cream on Penne. Plain & Oat Chocolate Chip Cookies and Mango Pandan Cake were the sweet endings to the great tasters with coffee offered rather perceptively by the waitstaff. Food and drinks fueled almost endless chatter among guests enjoying the cool, nighttime air. The unexpectedly serene Mandaue City nightscape twinkled softly and glowed bluish under the moon. With this great soft unveiling, we’re excited for other exciting events on the horizon here at the Oakridge Horizon. 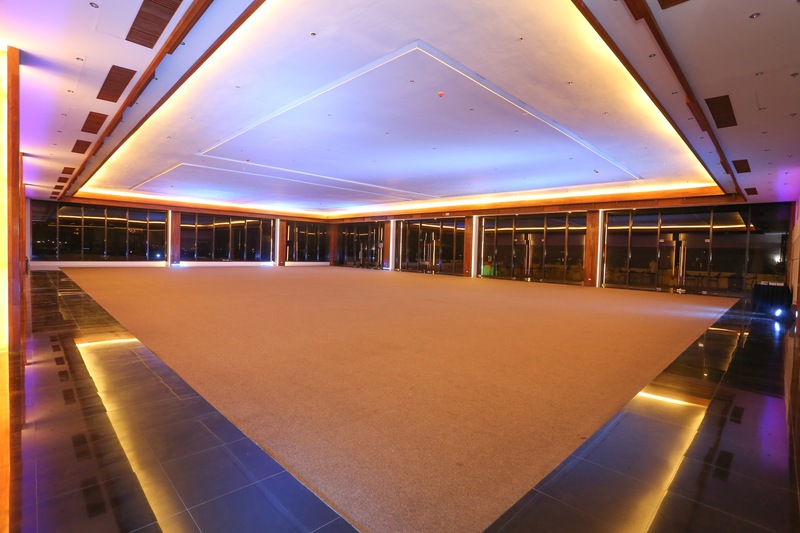 Cebu, Philippines, March 13, 2015 – Oakridge Business Park offers guests a new way to celebrate with the opening of Oakridge Horizons, the premier business park’s second event venue. 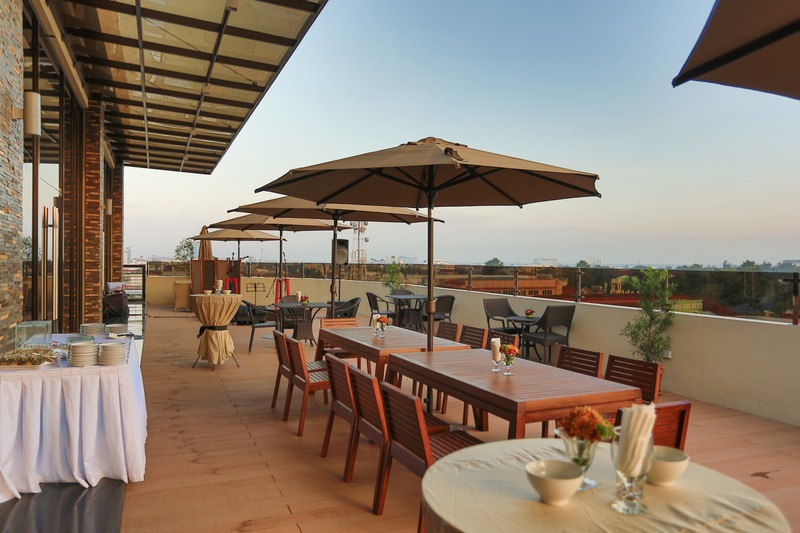 Stylishly set on the fifth level of Block Eighty Eight building, Oakridge Horizons welcomes guests with a banquet capacity of over 300 persons, private parking slots and an exclusive foyer. Spanning more than 900 square meters and outfitted with floor to ceiling glass panels, Oakridge Horizons is the perfect venue for corporate meetings, indoor team building activities, seated dinners, formal galas, grand weddings or a cocktail reception of up to 400 guests. A sleek wooden deck stretches across 230 square meters of outdoor space and presents an additional entertainment option complete with impressive vistas of the city’s skyline. To complement its launch, the upscale venue offers a Soft Opening Special. 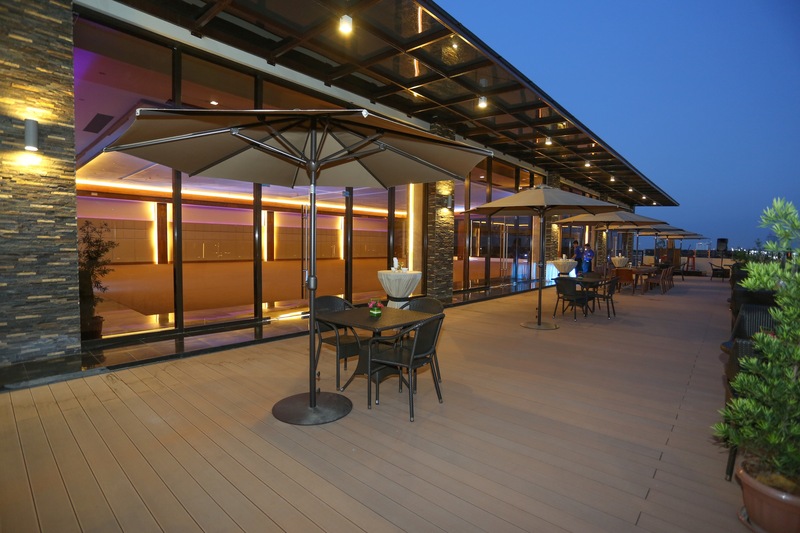 Guests hosting an event at Oakridge Horizons enjoy savings of 20% on venue rental for celebrations from March 1 to April 30, 2015. For inquiries and reservations, guests are invited to contact Oakridge Events at (63 32) 318 8476 or email events@oakridge.com.ph. Oakridge Business Park smoothly blends business and pleasure in a stylishly versatile mix of office, event and lifestyle spaces. 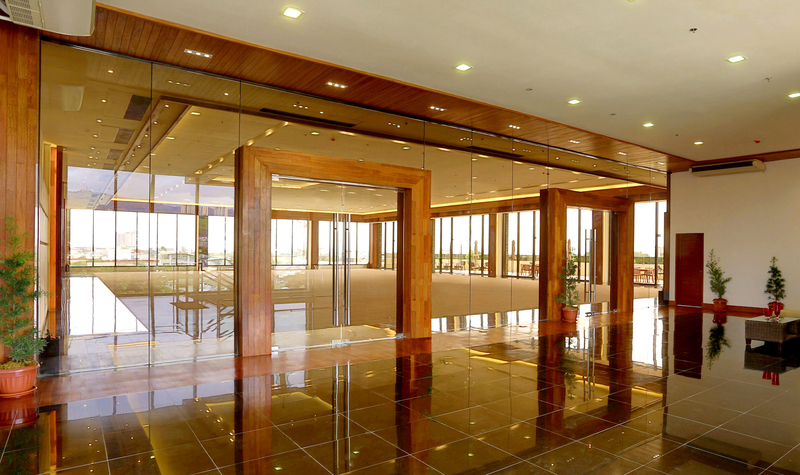 Nestled in the upscale district of Cebu, Oakridge Business Park spans more than four hectares and is home to the multi-awarded Oakridge Pavilion, the glass enclosed Oakridge Horizons, the PEZAregistered Oakridge IT Center 1, and distinctly successful establishments such as Rustan’s Supermarket, Starbucks Coffee, 10 Dove Street, Pancake House, Ramen Yushoken, Big Tom’s Charbroiled Burger and Baobao Babies. 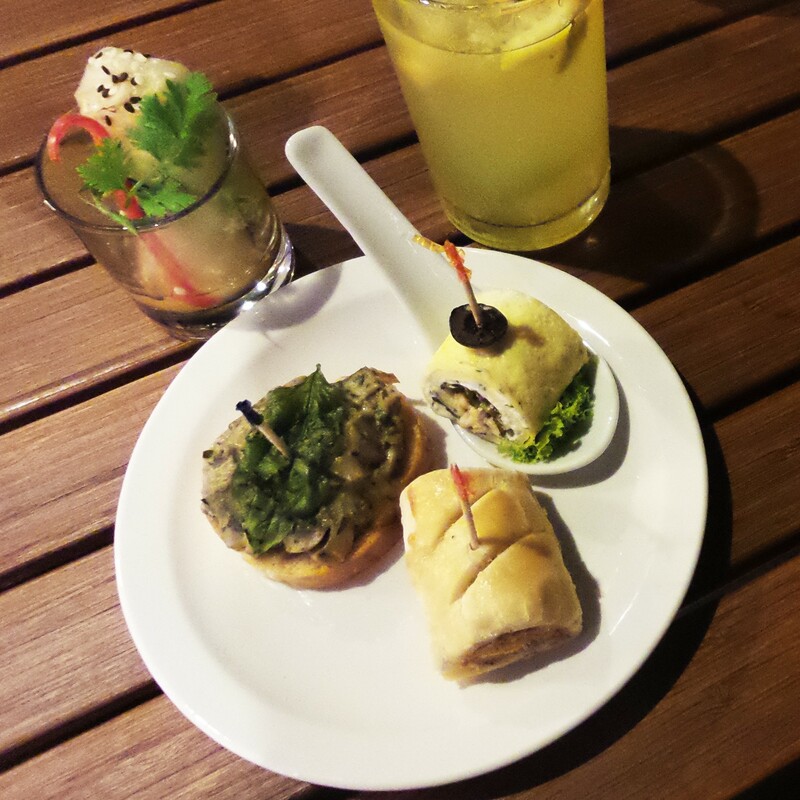 This entry was posted in Uncategorized and tagged 10 Dove Street, Canvas Bistro, cebu, foodporn cebu, hamburgero, Oakridge, Oakridge Horizons. Bookmark the permalink.